The Union Station Rotunda in Tacoma, Washington has art installations by world-famous artist Dale Chihuly along all four walls, and plus a huge glass chandelier hanging from the center of the dome. 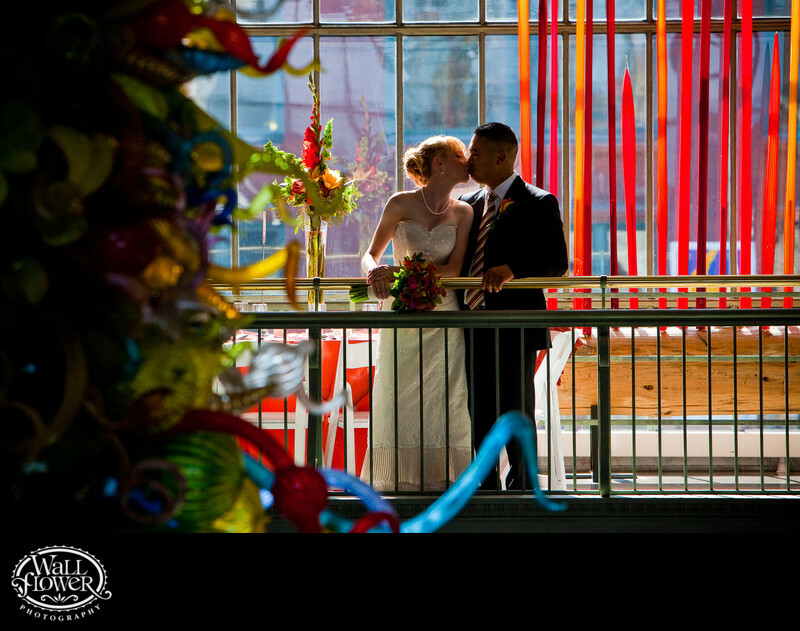 This bride and groom are posed along the balcony railing on the Pacific Avenue side of the building, and photographed with a telephoto lens from the far balcony so that the hanging chandelier could also be included in the frame. I chose to not add any of my own lighting and let the bride and groom be shaded as if in a partial silhouette.